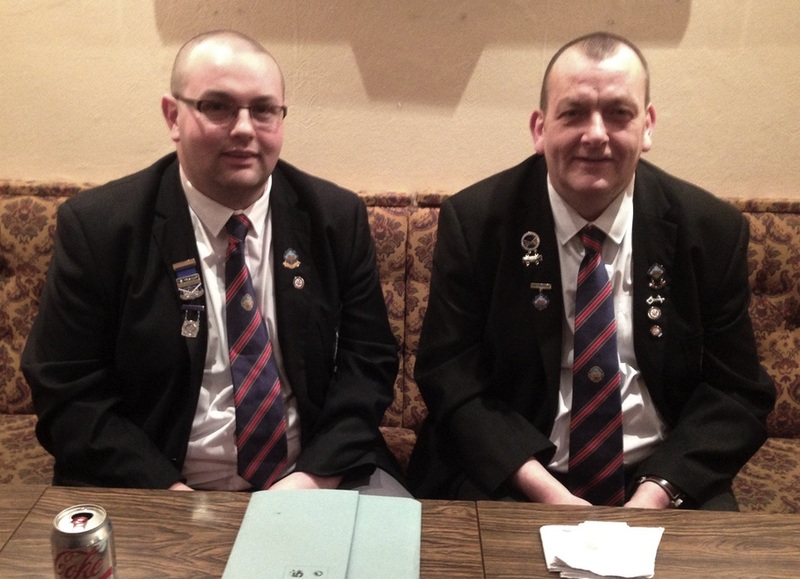 NEW Club President Richie McInall jun. Congratulations to new club President Richie McInall Jnr. Hon.President, Treasurer Ian Skillen after many years of stewardship have resigned from office. Our sincere thanks to them, good and faithful servants. In recognition of the work, past and currently, Past President Peter Phillips is doing for the club he was awarded this evening Honorary President. Cambuslang Bowling Club was established in 1874 and in 2010 we became an equal membership club, this evening at our AGM history was made when Past Lady President Ann Phillips became our first lady Club Secretary. 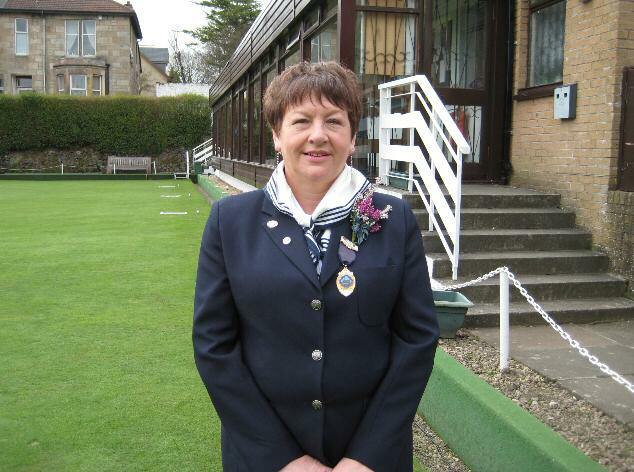 Ann joined Cambuslang BC in 2004 and was Lady President in 2010 and 2011. Her husband Hon. President Peter Phillips took on the office of Treasurer so we have a real family affair looking after the interests of our Club. Our sncere thanks and congratulations to Ann and we wish her well in her new duties. 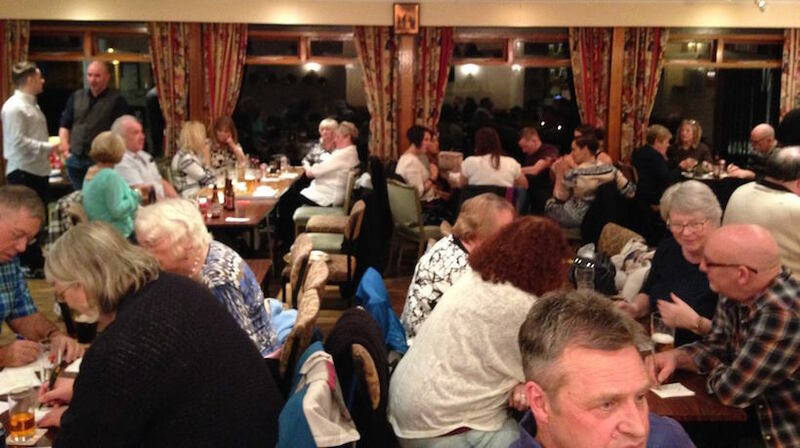 Our Burns Supper was a great success and very well put together by our Social Convenor, Past President John McKillop. Hon.Past President David Barnett chaired the event and introduced the audience to our artists for the evening. Kenny Wilson a Past President of Kirkhill BC is also a Past president of Bridgeton Burns Club and tonight he got our evening off to a great start with the Toast tae the Haggis. Kenny also had the main toast of the evening, the Immortal Memory, which was excellent, he certainly knows his stuff. To round off Kenny's contribution he entertained us with the satire poem Holy Willie. Jim Torrance a Past President of Halfway & District BC had the company in stitches with his hilarious Toast tae the Lassies. This was followed by the Reply tae the Lassies by Janis Hughes a member of Kirkhill BC and she ably replied to Jim's toast and gave the lassies in the audience plenty to laugh about as she 'set-about' the men. The whole evening was interspiced with excellent music from PiggeryBrae who thoroughly entertained the audience. A great deal of work went on behind the scenes and sincere thanks goto May McKillop for organising the food and thanks also to her helpers Ann Phillips, Eileen McArthur, Rena & Ashley Hoggan. 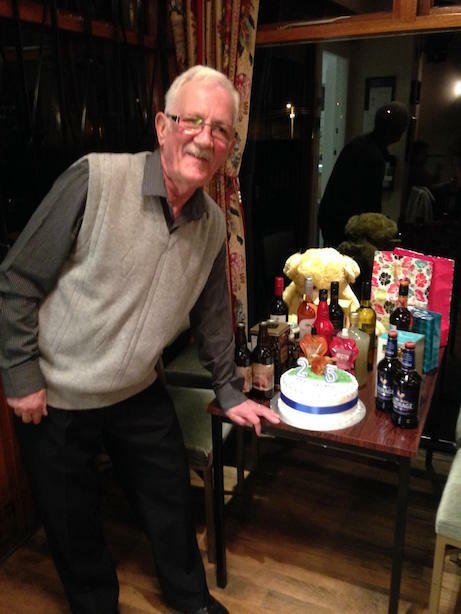 The Close season Social events kick-off every year with a series of Quiz Nights hosted by our very own Past President Davie Davidson, known as Squirrel. A few years ago a young squirrel ran into the clubhouse and was hiding under one of the tables. the bold Davie came to the rescue.....warned everyone to stay clear. ......as he quietly tip-toed over to pick up the Squirrel........WHICH PROMPTLY BIT HIS FINGERS AS HE YELLED IN PAIN THE SQUIRREL HELD ON TIGHT, WHILST THE REST OF THE CLUB ROARED WITH LAUGHTER..thus the nickname Squirrel was born NICE ONE !